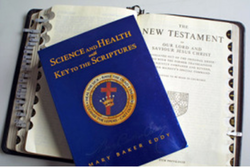 My journey with Christian Science healing began in the early 1990’s with the reading of the Christian Science textbook Science and Health with Key to the Scriptures, by Mary Baker Eddy as I was seeking and searching for physical healing. What I discovered was ” the kingdom of heaven, within” (Luke 17:21) and “the pearl of great price”(Matt 13:46), amidst the powerful ideas and concepts put forth in this book. Prior to becoming a practitioner of Christian Science healing I was actively involved in the real estate business as a salesperson and broker for over 25 years. In time it became evident that my heart-felt desire was unfolding in the field of Christian Science, as I wanted to be of spiritual service to all mankind. Once I embarked on this holy journey, divine Love led me forward in pursuing the work of this sacred ministry. I have had many personal healings along the way: relationships restored, character purification, impaired movement eliminated, suggestions of financial limitations dissolved just to name a few. All these problems were handled by using Christian Science, as outlined in the Christian Science textbook. This is the same primitive Christianity Jesus taught and demonstrated thousands of years ago and which he gave to his disciples and left for the world. It is now my privilege to pray and support others in a joyous awakening to Life, a life without limits and filled with “glorious possibilities” (S&H 288). To be sure, God is unfolding His perfect plan for all of us, His beloved creation. This is the doctrine of Christian Science: that divine Love cannot be deprived of its manifestation, or object; that joy cannot be turned into sorrow, for sorrow is not the master of joy.